This is a traditional light dinner entrée in France, not always that popular with children, but a nice combination of flavors in a pretty dish which is very easy to make. Clean two endives per person and remove the ends, blanch in a large pot of boiling salted water with the juice of half a lemon about 20 minutes. Drain the endives well. In a Le Creuset gratin dish, sautée the endives on the top of the stove in butter and a tbsp of olive oil until they have a light golden colour. 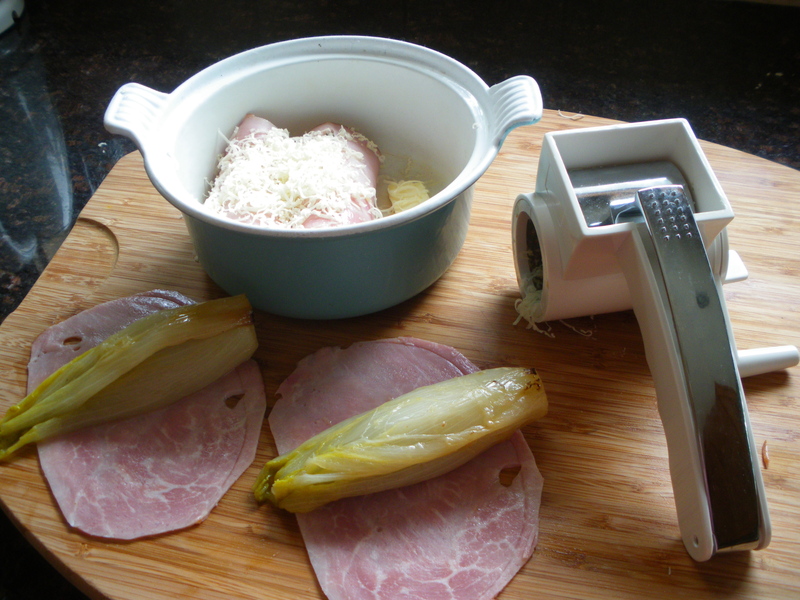 Remove from the heat, and wrap each endive in a thin slice of top quality cooked ham before returning them to the gratin dish. Sprinkle generously with grated Gruyère or Emmental cheese and cook another 20 to 30 minutes in the oven. Tip: if you do not have a gratin dish that can go both stove top and in the oven, sautée the endives in a frying pan and then transfer in an oven dish or a pie plate. If you do not have lemon handy, use a tbsp of vinegar. Buy endives that have only white and light yellow leaves, no green. 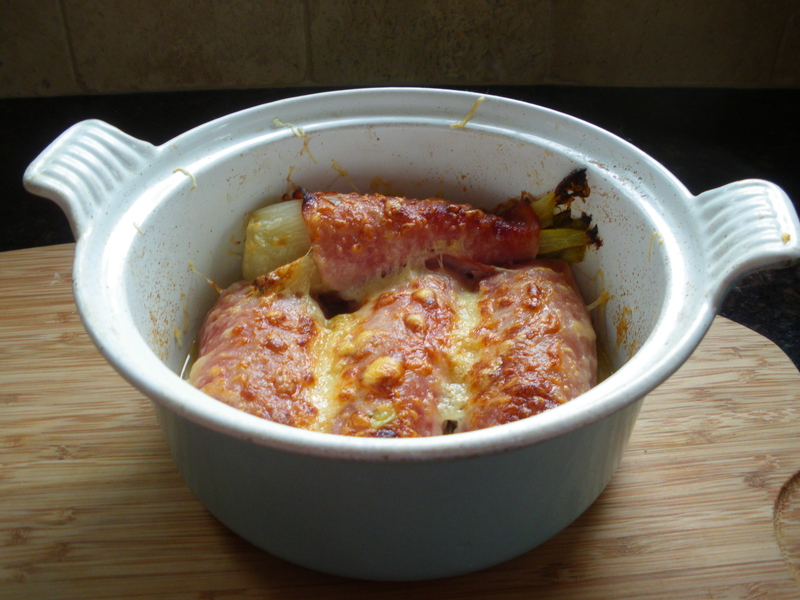 This entry was posted in Vegetables and tagged endives, food, gruyere, jambon, Le creuset gratin, recipe, recipes. Bookmark the permalink.